We love the creativity over at Once Upon A Plate. They are the creators of the popular olive penguin appetizers. These birds are super easy to make with only three ingredients, and overall are fairly healthy. 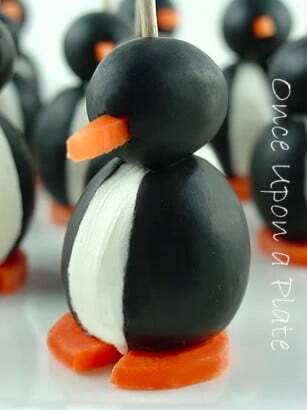 Serve these olive penguins at a party or make them for the family to enjoy. Perfect for any season.